Halloween has passed and it is time to start thinking about Thanksgiving. My son and I have been working on a few projects together and we have been having fun while crafting. I thought you may be looking for more projects than what we have been working on so I gathered up a list of fun Thanksgiving crafts for Preschoolers to share. 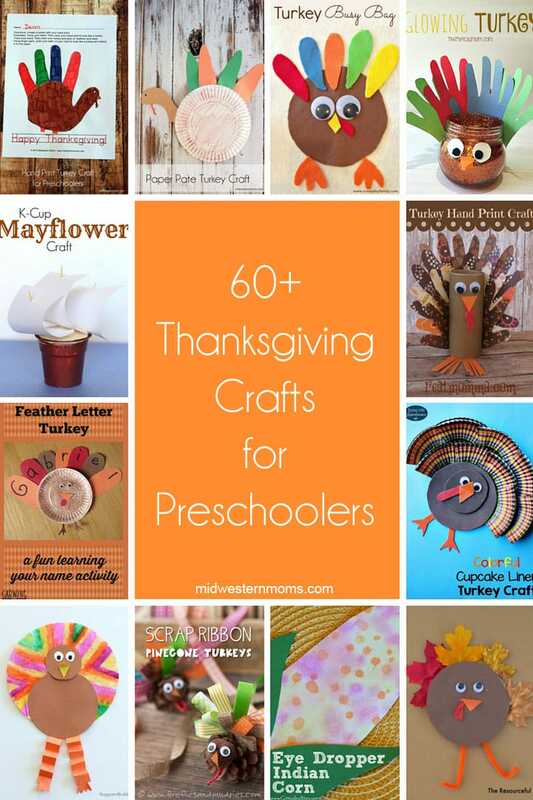 I hope you were able to find a fun Thanksgiving Craft for you and your preschooler to make together! Let me know what fun ideas you have. I’m so glad I saw this today! I have a 2 yr old and a 3 yr old. They would love doing these with me! Thank you! Oh, I love all these turkey crafts! I can’t wait to pin this to my Preschool Learning board.